Relaxing and luxurious cruises are the way to go! Imagine the trip of a lifetime! Experience the rugged wilderness of the Great State of Alaska. Your Alaskan cruise may take you and your loved ones on a voyage through the spectacular Inside Passage. View wildlife in its natural setting. Be immersed in the pristine beauty of the Alaskan Coast. Ports of Call may include Ketchikan, Juneau, Skagway, Seward and Kodiak just to name a few. ​Visit such renowned destinations as: Glacier Bay National Park, Prince William Sound, College Fjord, Tracy Arm Fjord among many others. Witness the awesome majesty of a calving glacier. Watch seal lions lounge in Resurrection Bay. 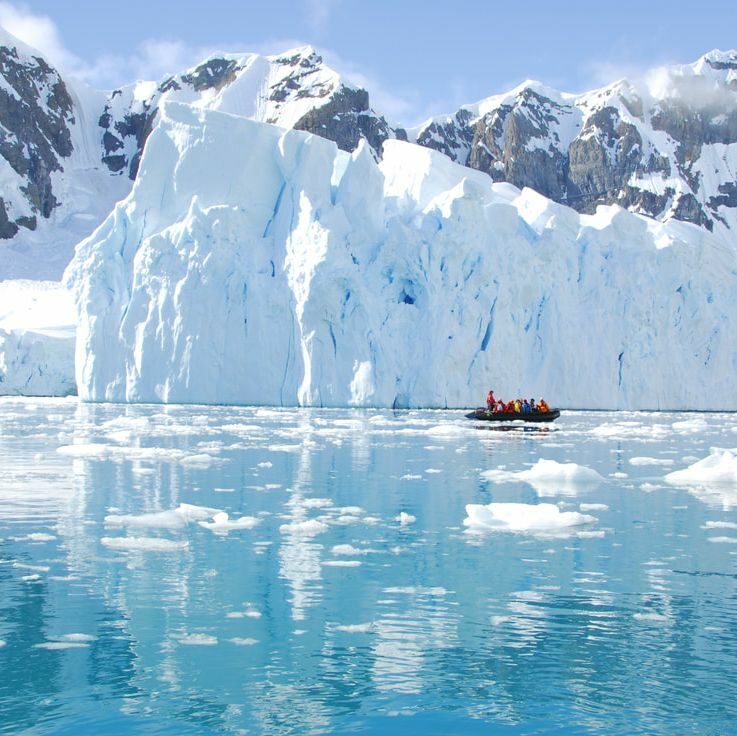 In addition, your cruise can be augmented with a rail trek into the heart of the Alaskan mainland. Explore Denali National Park and view moose, caribou, beavers, and bald eagles in their native habitats. Perhaps you may wish to pan for gold, go fly fishing, saddle a horse for a trail ride, or play golf under the Midnight Sun. Dream of sun-drenched days. Experience colonial forts, secluded beaches, charming towns and turquoise waters accented with rainbow fish. Indulge in tropical food and drinks while listening to the infectious rhythm of calypso music. Immerse yourself in the relaxing atmosphere of the Caribbean - surely, a memory to last a lifetime! Aboard your floating resort, you could partake in such diverse activities as: working-out in the fitness center, being pampered in the spa, gaming in the casino, viewing movies and live shows, as well as shopping. During your cruise you may make such famed Ports of Call as: St. Kitts, San Juan, Aruba, Barbados, St. Thomas, Antigua, Grand Cayman, and Cozumel just to name a few. With day excursions you will have the opportunity for visiting these fabled islands of the Caribbean. Furthermore, you may wish to experience an engineering masterpiece with a cruise through the Panama Canal. Travel through the various locks and view the surrounding jungles and mountains. Encounter picturesque Gatun Lake as well as the colorful history of the region. When you are ready for an epic escape with either a cruise of the Caribbean or the Panama Canal, give us a call and allow us to be of service. There's no better way to experience the history, the landmarks and the culture of Europe than with our European cruise vacations. Step on board one of our award winning ships embarking from many convenient cities that are amazing destinations within themselves. Unpack once and wake up to a new city every day while exploring the sights, sounds and flavors of Europe, Scandinavia, Russia & Baltic, the Mediterranean, Greece, or an Italian cruise on your own schedule. Combine that with spectacular onboard entertainment, luxurious spa services, and no set dining times, and you’re bound for a good time. Journey into the heart of Europe, Asia, Egypt and beyond. 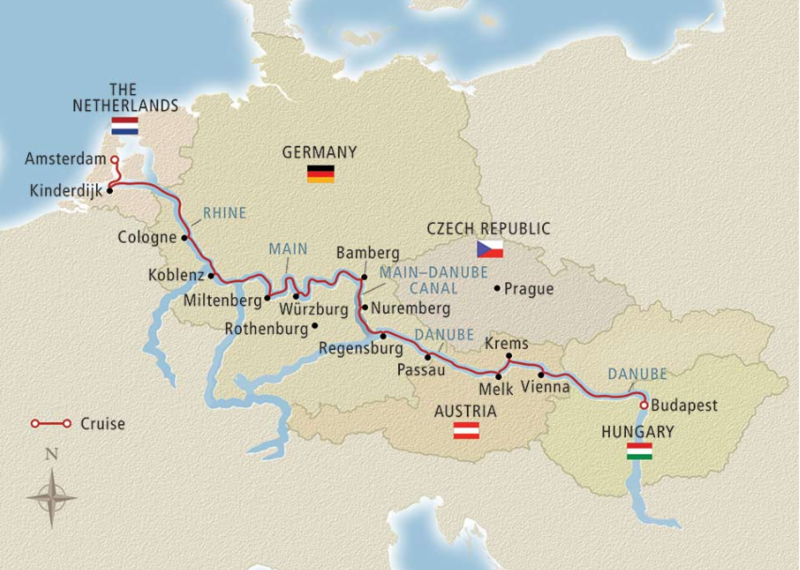 Explore the scenic banks of the romantic Danube, the vineyards and castles along the Rhine, the rich cultures along France’s Rhône and Seine, and the splendid vistas along Portugal’s Douro and Germany’s Elbe. Discover the real Russia along the Volga. Your river cruise with Travel Tyme begins here. Check out our worldwide ports of call below!